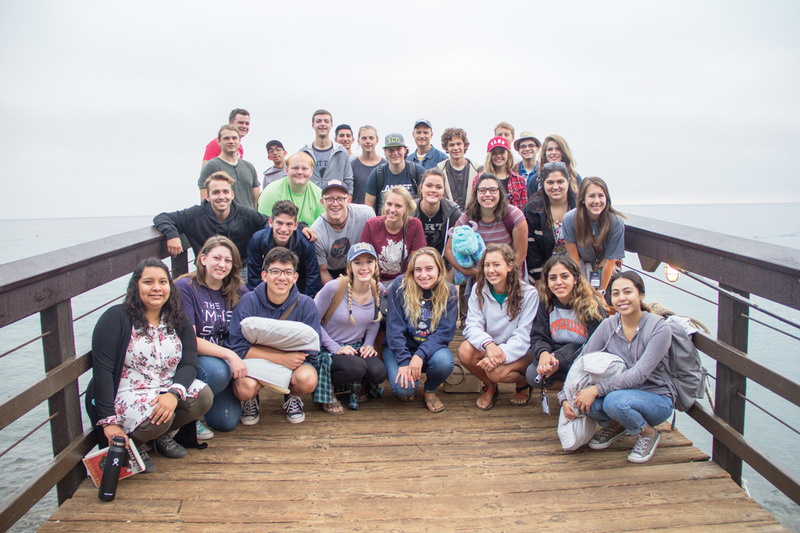 The worship arts and ministries majors of California Baptist University visited Catalina Island Aug. 26-28 for the Collinsworth School of Music’s first Songwriter’s Retreat. The retreat was a first in several ways including location, activities and special guests. Worship arts and ministry majors met with worship leaders and pastors. The retreat was an opportunity to connect with others in worship music and to learn techniques in the practice of songwriting. Tommy Walker, worship leader, singer and songwriter, attended the retreat as a guest speaker. He gave students advice on life, the songwriting process and maintaining a relationship with the Lord. Walker coached the worship arts and ministries majors on the process of songwriting and taught techniques writers could use. He shared that in the songwriting process, all one needs is the ability to follow through and a heart for worship. Walker said he believes songwriting is an intimate devotional with God. “I value and treasure my devotional time in the morning with the Lord where I can be still and read his word and try to hear his voice. Throughout my Christian life, songwriting has been a part of my devotional life. Sometimes I’ll read a verse and I’ll hear it sung in my head and I’ll just write it out,” Walker said. The advice Walker shared helped students get past the nerves and reservations of songwriting. “I’ve always been too picky about my lyrics but I realized using straight scripture is always awesome,” said Wesley Schaeffer, freshman worship arts and ministries major. Schaffer also said he would attend an event like this again.